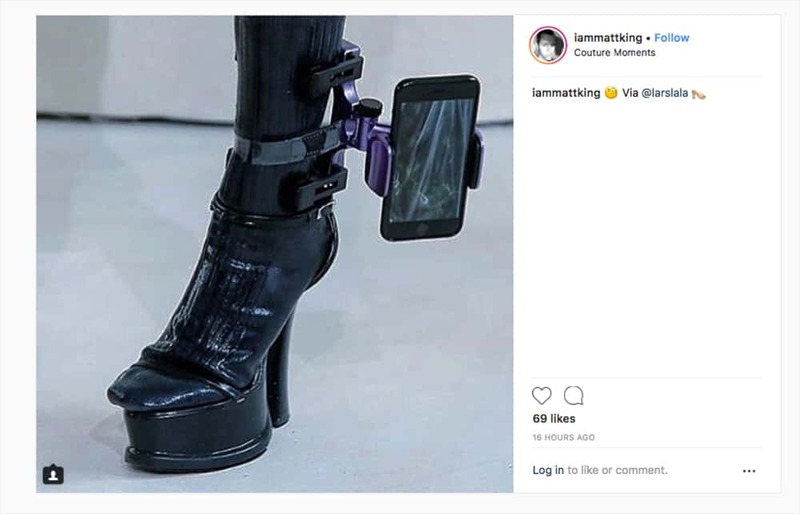 Some of his models at this week’s Paris Couture 2018 wore iPhones in ankle-high holsters as part of a “Neo-Digital” theme for an autumn-winter collection. A few male models wore iPhone holsters on their arms. What the Neo-Digital Native will be wearing this fall. Galliano himself added the term “nomadic glamour.” The holster’s influence on the wearable tech space is negligible. 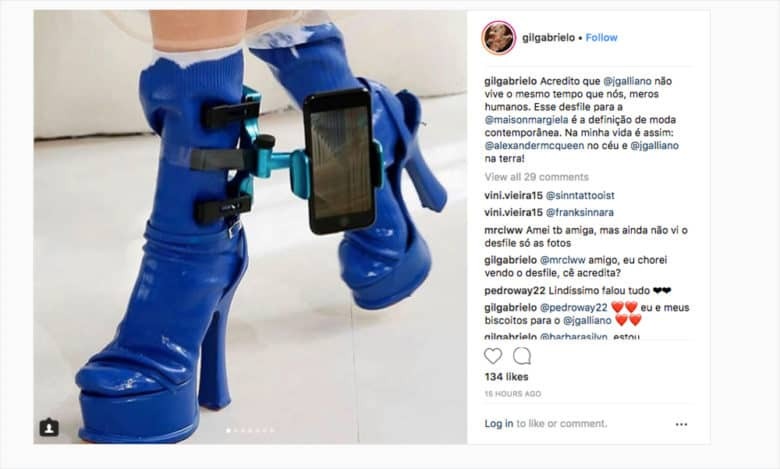 The viewer probably needed just a millisecond to say to themselves that the Galliano holster is no way to carry an iPhone. But the British designer likely never intended for the Apple Store to stock his unique iPhone carriers. Much of what gets the attention of the press during fashion shows is the avant-garde or tongue-in-cheek designs that are never sold o meant for work, church or a trip to the grocery store. 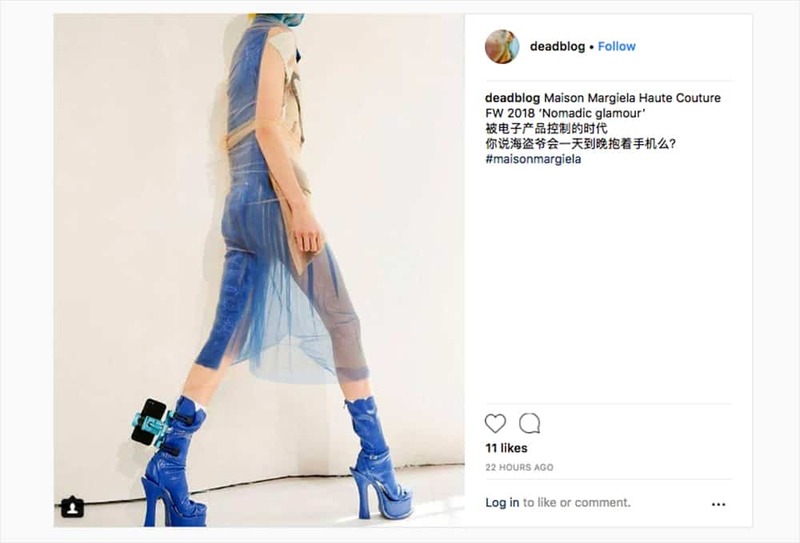 Fashion editor Renaud Petit did a great job explaining to an often-confused public why fashion shows feature so many freaky, unwearable garments. The Galliano iPhone holster is versatile and can be worn on an arm or ankle. 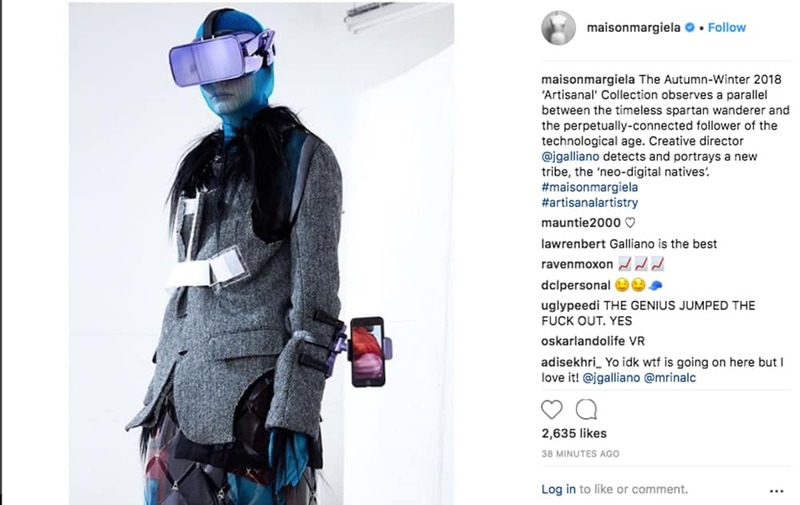 In an article for Medium last year, Petit explains that fashion designers are artists and the shows are the way they showcase creativity free from the constraints imposed by practical garments. It is also a way to show fabrics and technics. “They actually aim at providing the public with an overall feel, a theme, a mood, an artist background and atmosphere of the collection that will be available on shelves,” he wrote. “This is actually why it is called a show and why it is not simply a range of products displayed on still mannequins. A pocket for the iPhone should do just fine.